Driving License malayalam movie to be directed by Jean Paul featuring Mammootty in lead will be an out and out entertainer. The movie also has Lal in a prominent role. The shooting of this 100% entertainer would commence soon. 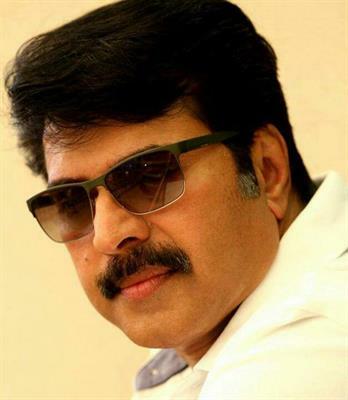 Mammootty is expected to appear in a stylish makeover. Read more to know about 'Driving License'. Jean Paul Lal popularly known as Lal Jr. who has made name with his directorial debut 'Honey Bee' has given hints about his next project. With couple of days remaining for the release of his new movie 'Hi I'm Tony', Jean has revealed the details about his next venture. It is reported that Jean will work with megastar Mammootty for his upcoming movie 'Driving License'. Touted as an out and out entertainer, the shooting would commence soon. Mammootty would be appearing in a stylish makeover. Lal, Jean's father will also be donning a prominent role. Jean Paul Lal had made his own space in the industry with 'Honey Bee' which featured Asif Ali and Bhavana lead. The movie gained positive reviews from critics and was declared a super hit with the movie ran over 100 days in theatres. Meanwhile his second venture 'Hi I am Tony' would reach theatres on 26th July. Hi I am Tony' has already created much hype among the moviegoers for its interesting cast and impressive trailer. The movie stars Lal, Asif Ali, Mia George and Biju Menon in lead roles. Lal who gets a new look dons the character role of Tony. Lena will be seen playing Lal's wife. Touted as a psychological thriller, the movie revolves around an IT Professional (Asif Ali) who was in love with Teena(Miya). A stranger intrudes into their lives which takes the story to the next stage. Jean Paul who established his exceptional talent in filmmaking in less period of time is gearing up to helm bigger budget project in the near future. Jean has gone past many hurdles and is expecting to take new challenges. The Ramzan season would witness the entry of a handful of big budget movies including that of Mammootty and Dulquer Salmaan. Mammootty's 'Manglish' directed by Salam Bappu revolves in and around Malik Bhai, born on an ordinary muslim family. Meanwhile 'Vikramadithyan' helmed by Lal Jose revolves around two guys, Vikraman and Adithyan.